At a time when threats from organized Palestinian terrorism are being effectively contained in the West Bank, Israeli security forces are now on the lookout for a new and troublesome phenomenon: The rise of al-Qaida-inspired Salafi-jihadi terrorist cells. The heightened state of alert to this new threat took effect last month, when an unprecedented security incident took place. A Salafi-jihadi cell, armed with guns and explosives, set out from the Hebron area to carry out a series of attacks. The first intended targets were IDF soldiers; and later, the cell planned to strike targets affiliated with the Palestinian Authority – both equally worthy of attack according to the worldview of Salafi-jihadis. According to this view, any state or system of government that isn't based on a literal interpretation of Islamic law, and which is not part of a caliphate state, is completely illegitimate. The cell was under close surveillance by the Shin Bet (Israel Security Agency). Israel's elite Counter-Terrorism Unit moved in to intercept cell members after they got into a vehicle, armed with guns and bombs, to carry out their jihad mission. The unit surprised the terrorists as they drove in the village of Yatta, near Hebron, on the evening of Nov. 26. Security forces shot at the tires of the suspects' vehicle, and the Palestinian gunmen fired back, leading to a fire fight that ended with the deaths of the two terrorists. Soon after, Counter-Terrorism Unit members caught up with a third member of the cell at a hideout in Yatta, and after a brief exchange of fire, shot him dead. Five additional Palestinians were arrested on suspicion of being accomplices. It was the first time that the Israeli defense establishment had engaged armed Salafi-jihadis in the West Bank. Although the attack was thwarted, it still set off a warning bell. According to senior security officials, the cell's first intended step was to kidnap IDF soldiers and to carry out shooting and bomb attacks on Israelis. Unlike traditional Palestinian terrorist threats, such as Hamas, Islamic Jihad, and Tanzim, Salafi-jihadists are not part of a wider network, and do not enjoy the benefits of a wider terrorism infrastructure. Rather, Israeli intelligence sources say, the movement is first and foremost an ideology which appears to be gaining some ground, thanks to a power vacuum in the West Bank. With Hamas in Gaza trying to survive regional isolation and struggling with its efforts to project its influence on to the West Bank, and with Fatah busy with its own concerns for its future survival, Salafi-jihadis are able to spread their influence, and gain more ground at the expense of traditional Palestinian political factions. Proponents of Salafi-jihadism in the West Bank are being radicalized by the Internet. The rise of global jihadi movements in the wider Middle East region is also a factor enabling pro-al-Qaida entities to take root and spread their poisonous ideas. They reject all forms of state authority not ruled according to fundamentalist interpretation of Islamic law, and call for the establishment of a single caliphate government. Hence, the Palestinian Authority finds itself threatened by this ideology no less than Israel, and may soon feel compelled to send its own security forces to confront the movement in its areas of jurisdiction. In the West Bank, Salafi-jihadis have begun holding social and religious activities. 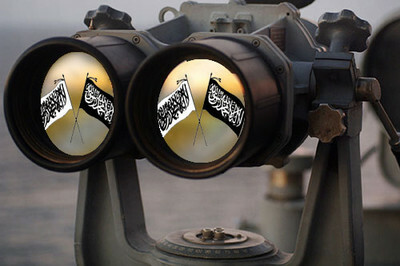 Defense sources in Israel say that the Salafi-jihad ideology is gaining some traction, and although still small in scale, the potential exists for the danger to grow. The sources say that the November incident sparked concerns about future copy-cat attackers. One security source expressed hope that Israel's swift and firm response to the threat will help deter others from trying to imitate the ill-fated terrorists. The cell that was taken out in November was local, making it harder to detect for Israeli intelligence. But the incident is proof that localized threats do leave a detectable signature for intelligence agencies. Currently, an unknown number of Palestinians subscribe to these radical ideas, though, with the exception of the cell broken up last month, they have not become violent – yet. It is impossible to separate the appearance of this radical movement from ongoing regional turmoil. According to a recent study released by the Tel Aviv-based Meir Amit Intelligence and Terrorism Information Center, dozens of Palestinians from the Gaza Strip have traveled to Syria to fight with Salafi-jihadi organizations. Reuven Erlich, who heads the center, told the Investigative Project on Terrorism that, so far, only a few volunteers from the West Bank have gone to fight in Syria. But this number could rise. Dozens of Palestinians from Jordan and Lebanon have joined groups like the al-Qaida tied Jabhat Al-Nusra. The number seems small now, but those who go to Syria and return could set up new cells, and further spread the Salafi-jihadi ideology. It is up to Israel's intelligence services and counter-terrorism units to ensure that al-Qaida's call for mayhem and murder in the name of a caliphate does not take root in the West Bank.